Isis claimed responsibility for the killing of ten Russian soldiers in two explosions that hit the town of Kaspiysk in the southern Russia republic of Dagestan Tuesday night. The claim of responsibility, released by ISIS’ province in the Caucasus, read: "The Caliphate's soldiers managed to explode two vehicles of the Russian army in Kaspiysk, eastern Dagestan, thereby killing ten soldiers and injuring three others." This is not the first lethal terror attack to hit the same Caucasus town. In November 1996, Chechen rebels blew down a nine-story house in Kaspiysk that was inhabited mainly by Russian border guards and air force pilots, killing 67 people. Another deadly blast took place in May 2002, when an explosion hit the main street of Kaspiysk during a parade for the 57th anniversary of the Russian Victory Day, killing 34 people. The port city might be a major target for ISIS fighters in the Caucasus because it hosts federal anti-terror units whose headquarters are located in a number of key coastal cities. On March 6, the Caucasus Province released its first video, urging Muslims in Russia to join ISIS fighters in the Caucasus in order to hit the "Russian apostates" and threatening to attack Russian President Vladimir Putin. A young Mississippi woman today pleaded guilty to conspiring to support ISIS, half a year after she and a young man allegedly attempted to travel to Syria to join the terror group but were intercepted by the authorities. Jaelyn Young, who was 19 when she was arrested last August, entered the plea in a Mississippi federal courthouse this afternoon, according to the Department of Justice. Her companion, Muhammad Dakhlalla, pleaded guilty to a similar charge earlier this month, court documents said. 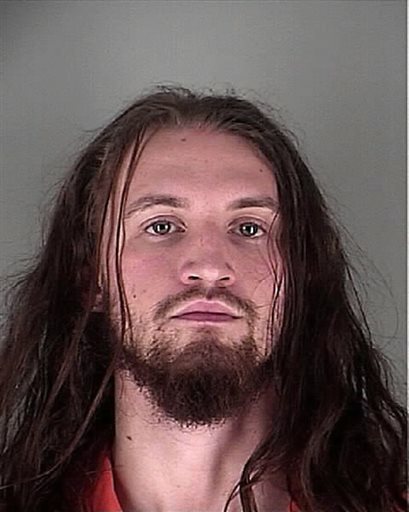 According to the FBI, the case started when an undercover “FBI employee” came across Young’s pro-ISIS social media posts, such as one made in mid-May 2015 that said, “The only thing keeping me away is $$$ but working all this overtime will be worth [it] when I am finally there” and “I just want to be there :( #IS,” which the FBI indicated is a reference to the Islamic State or ISIS. Young, a former honor student, explained to the FBI employee that she was attempting to go to Syria with a “brother,” identified as Dakhlalla, who was 22 years old at the time. Young said the two would have to have an Islamic marriage in order to travel together. She allegedly told another undercover FBI officer that while she had never traveled outside the U.S., she had math and chemistry skills and her partner was good with computer science and media. They could help the group, she said, they just needed assistance getting to Syria through Turkey. The couple got as far as an airport in Columbus, Miss. in early August in hopes of heading to Turkey, but federal agents were waiting for them, according to court records. The description is at odds with Young’s purported online persona and comments she made following a deadly shooting in Chattanooga the month before her arrest. “What makes me feel bette[r] after just watching the news is that an akhi [brother] carried out an attack against US marines in TN! Alhamdulillah [Thanks be to God], the numbers of supporters are growing,” Young told one of the undercover FBI agents in a conversation online on July 17, a day after the shooting, according to the FBI. Four Marines were killed in the attack and a Navy sailor later died of his wounds. American Airlines announced it has canceled all flights to and from Brussels until 7 April. The carrier’s decision is in response to the 22 March suicide bombing attack at the Brussels airport. The explosion occurred near the American Airlines counter, and some of the thirty-two people killed in the blast were about to board an AA flight. The Independent reports that the airline released a statement saying that all flights in and out of Brussels Airport are on hold until a flight from Philadelphia departs on 7 April. A return flight will depart the following day. “American Airlines extends its deepest sympathies and condolences to those affected by the tragic events in Brussels,” the company said in the statement. Abdullah made his remarks during a wide-ranging debriefing to Congress on 11 January, the day a meeting with the US president, Barack Obama, was cancelled. The White House was forced to deny that Obama snubbed one of America’s closest allies in the Middle East, attributing the cancellation to "scheduling conflicts," although Obama and Abdullah met briefly at Andrews Air Force Base a day later. Present at the meeting in Congress were the chairmen and members of the Senate Intelligence, Foreign Relations and Armed Services committees, including Senators John McCain and Bob Corker, and Senators Mitch McConnell and Harry Reid, the Senate Majority and Minority leaders respectively. According to a detailed account of the meeting seen by MEE, the king went on to explain what he thought was the motivation of Turkey's president, Recep Tayyip Erdogan. Abdullah said that Erdogan believed in a “radical Islamic solution to the region". "We keep being forced to tackle tactical problems against ISIL [the Islamic State group] but not the strategic issue. We forget the issue [of] the Turks who are not with us on this strategically." He claimed that Turkey had not only supported religious groups in Syria, and was letting foreign fighters in, but had also been helping Islamist militias in Libya and Somalia. Abdullah claimed that "radicalisation was being manufactured in Turkey" and asked the US senators why the Turks were training the Somali army. The king invited the US politicians present to ask the presidents of Kosovo and Albania about the Turks. Abdullah said that both countries were begging Europe to include them, before Erdogan did. Abdullah was supported in his remarks by his foreign minister, Nasser Judeh, who said that the Albanian president (Bujar Nishani) was a Catholic married to a Muslim, and that that was a model which should be protected in a Muslim majority country. Judeh said that when the Russian bombing campaign prevented Turkey from establishing safe zones in northern Syria to stop refugees from coming to Turkey, "Turkey unleashed the refugees onto Europe”. Both Judeh and Abdullah bridled at the $3bn deal offered by Europe to Turkey, noting that Turkey had only 2m Syrian refugees out of a population of 70m, whereas Jordan was facing “a bigger problem proportionally". Jordan and Turkey are officially allies. The Turkish prime minister, Ahmed Davutoglu, cancelled an official visit to Jordan after the latest bomb attack in Turkey, which on 13 March killed 34 people in Ankara. The Kurdish Freedom Falcons (TAK), an offshoot of the PKK, or Kurdistan Workers' Party, claimed responsibility for the bombing. The postponed visit is due to take place this weekend and Davutoglu will be mindful that Abdullah told senators that Turkey was using the Kurds as an "excuse" for its policies in Syria. Galip Dalay, research director at Al Sharq Forum and senior associate fellow on Turkey and Kurdish Affairs at Al Jazeera Center for Studies, said it was wrong to portray Turkey as having a strategic goal of establishing an Islamist government in Syria. He said: "Turkey did its best in the first eight months of the Syrian crisis to find a political solution to the crisis, which would have included [Syrian President] Bashar Assad. Back then, Turkey was criticised in the region and the West for being too soft on the Assad regime and being too optimistic about the possibility of reform. When it became clear, after eight months of arduous attempts, that Assad had no intention of initiating a political and democratic process to meet the demands of the protestors, Turkey threw its weight behind the opposition." Dalay said that the claim Turkey was buying oil from the Islamic State group was a Russian fabrication concocted by Moscow after Turkey shot down the Russian fighter. "Turkey is not the only one saying there is no evidence to support this claim. The United States said it too." The Turkish government would not comment officially on Abdullah’s reported remarks on 11 January. But a senior Turkish source accused the king of becoming "the spokesman for Bashar al-Assad". He said the portrait emerging from these remarks was not one of a king speaking but of a "Western journalist with a fuzzy state of mind and little familiarity with the region". He said: “Turkey is definitely carrying out an intense struggle against Daesh [a reference to the Islamic State group]. Bombings take place in Turkey, not in Jordan. When this is the case, groundless accusations by King Abdullah are totally unacceptable. He said the king’s claims that IS was selling oil to Turkey were not only absurd but showed that Abdullah did not have the slightest idea about what was going on in Syria. "The king's statements and accusations against Turkey are not the first. Unfortunately, all of his allegations are the same as the slanders frequently expressed by the Assad regime. Baku-APA. Meter-thick concrete walls and 1950s-style analog control rooms help protect nuclear plants from bomb attacks and computer hackers, but Islamist militants are turning their attention to the atomic industry's weak spots, security experts say, APA reports quoting Reuters. In 2014, an investigation into a deliberate act of sabotage at Belgium's Doel 4 nuclear reactor found that a former employee of the plant had died earlier in the year while fighting with Islamist militants in Syria. A notorious lieutenant colonel in the Waffen SS, who served in Adolf Hitler’s personal bodyguard unit, worked as a hitman for the Israeli intelligence agency Mossad after World War II, it has been revealed. Austrian-born Otto Skorzeny became known as the most ruthless special-forces commander in the Third Reich. Having joined the Austrian branch of the National Socialist German Workers’ Party at 19, at age 23 Skorzeny began serving in the Waffen SS, Nazi Germany’s conscript army that consisted largely of foreign-born fighters. In 1943, Hitler himself decorated Skorzeny with the Knight’s Cross of the Iron Cross, in recognition of his leadership in Operation EICHE, the rescue by German commandos of Italian fascist dictator Benito Mussolini, who had been imprisoned at a ski resort in the Apennine Mountains following a coup against his government. Skorzeny survived the war and ended up living in Spain under the protection of the country’s far-right dictator, Francisco Franco. The Mossad, Israel’s covert-action agency, which had made it a priority to arrest or kill senior Nazis who had survived the war, intended to kill Skorzeny. However, two veteran Israeli intelligence observers, Dan Raviv and Yossi Melman, revealed on Sunday that, instead of killing Skorzeny, the Mossad decided to recruit him. Based on “interviews with former Mossad officers and with Israelis who have access to the Mossad’s archived secrets”, Raviv and Melman allege that Isser Harel, who directed the Mossad from 1952 to 1963, decided that the former Waffen SS commander would be a useful asset against other Nazis operating in Europe and the Middle East. Specifically, Harel planned to use Skorzeny as a trap to lure a number of Nazi scientists who were secretly working for Egypt’s missile program. According to Raviv and Melman, a Mossad team was sent to Spain to meet Skorzeny. After a tense incident that involved Skorzeny pointing a loaded weapon at two Mossad operatives, the former Nazi soldier agreed to cooperate with Israel in return for assurances that his name would be removed from the Mossad’s assassination list. Raviv and Melman claim that one of Skorzeny’s most high-profile operations as an agent of the Mossad culminated in the assassination of Heinz Krug in Munich in 1962. Krug was a German rocket scientist who was working for the Egyptian government under the tutelage of Dr Wolfgang Pilz, another rocketry expert who had put together a top-secret missile program for Cairo. Krug was targeted for assassination by Yitzhak Shamir, Israel’s future prime minister, who was then commander of the Mossad’s clandestine operations service. Krug, who was worried for his life after receiving threatening messages from individuals he believed were connected with the Mossad, reached out to Skorzeny in hopes that the former Waffen SS commander could give him advice on enhancing his personal security. But Skorzeny, operating on orders of the Mossad, shot dead the German scientist in a remote wooded area outside Munich. A Mossad team then poured acid on Krug’s body before burying it in a grave that had been dug in preparation for his killing. According to Raviv and Melman, Skorzeny also sent German scientists in Egypt a number of mail bombs designed by the Mossad, which killed a number of people. Raviv and Melman also state that they received oral confirmation from Rafi Eitan, a legendary Mossad operations officer, that he “met and ran Skorzeny” on behalf of the Israeli intelligence agency. Skorzeny died of cancer in Spain in 1975. He was 67. 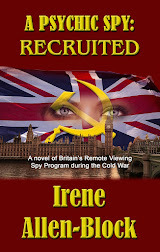 It is believed that the Mossad never tried to kill or kidnap him. A man wearing a suicide belt has hijacked a passenger plane during a flight in Egypt and forced it to land in Cyprus, where a number of "foreigners" are being held hostage. 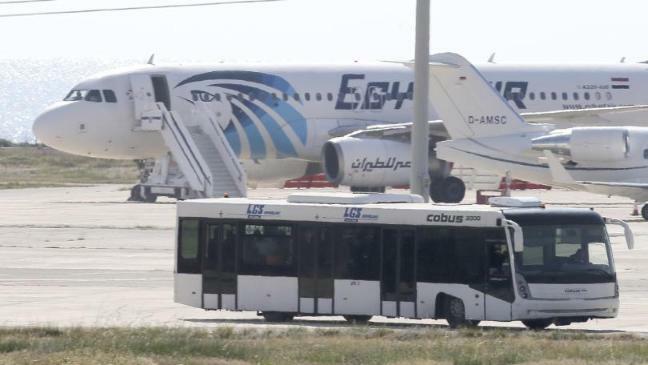 Unconfirmed reports say that a number of Britons and an Irish national were aboard the EgyptAir plane which was diverted during an internal flight from Alexandria on Egypt's Mediterranean coast to the capital Cairo. The plane, which the airline said was carrying 81 passengers and crew, was taken over by a man armed with an explosive vest. He has been named by Egyptian media as 27-year-old Ibrahim Samaha, which said that he wanted to claim asylum on the Mediterranean island. Negotiations have led to the release of all the passengers, except for the crew and four foreign passengers, the airline said. UPDATE: This is an early report and it is not yet confirmed that he is wearing a suicide belt it mat be something that looks like it. Also it is still not confirmed how many passengers remain on the plane. Further updates to come. EU counterterrorism coordinator Gilles de Kerchove said in an interview on Saturday that Belgium’s network of nuclear power stations, as well as energy and transport infrastructure, could become the targets of cyberattacks by terrorists in the near future. “I would not be surprised if there was an attempt in the next five years to use the Internet to commit an attack,” de Kerchove told the daily La Libre Belgique. He said such attacks would involve terrorists hacking into online computer systems which control facilities such as a nuclear power plant, dams, an air traffic control center, or a railroad switching station. The fears at the nuclear power plants are of “an accident in which someone explodes a bomb inside the plant,” Sébastien Berg, the spokesman for Belgium’s federal agency for nuclear control, told the New York Times. “The other danger is that they fly something into the plant from outside.” That could stop the cooling process of the used fuel, Mr. Berg explained, and in turn shut down the plant. The Times reports that de Kerchove’swarning comes as Belgium remains on high alert in the wake of Tuesday’s suicide bombing in Brussel, in which thirty-one people were killed and more than 300 injured. Environmental activists in Belgium, Germany, and other neighbors of Belgium have voiced their concerns over security and safety at Belgian nuclear facilities for some time. These plants have experienced a number of problems recently, including an unsolved sabotage incident. 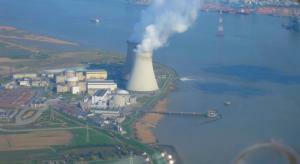 On Thursday, a security guard at a Belgian nuclear power station was murdered and his access badge stolen. The Derniere Heure newspaper reported on Saturday that the guard had been shot dead in the Charleroi region, south of Brussels. The Belgian nuclear authorities said the man’s badge was de-activated as soon as his murder was discovered. Derniere Heurealso reported that the terrorists who attacked the airport and a metro station on Tuesday had originally considered targeting a Belgian nuclear site, but that such an attack would have required more time and planning. The terrorists abandoned the nuclear facility attack plan after Belgian security services arrested a number of Islamist militants, forcing the terrorists to act more quickly and focus on soft targets instead of a hardened nuclear facility. In 2015, investigators discovered surveillance footage of a Belgian nuclear plant official in the flat of a suspect connected both to the Brussels attacks and the 13 November Paris attacks. Earlier this year, the Belgian nuclear agency’s computer system was hacked and was forced to shut down briefly. In 2013, two individuals scaled the fence at Belgium’s research reactor in the city of Mol, breaking into a laboratory and stealing equipment. In 2012, two employees at the nuclear plant in Doel resigned and went to Syria to join ISIS. The men fought in a brigade which included man Belgians, including Abdelhamid Abaaoud, the on-the-ground leader of the 13 November Paris attacks. One of the two men was killed in Syria, but the other returned to Belgium, was put on trial, convicted in 2014, but release after one year in jail. Pieter Van Oestaeyen, a researcher who tracks Belgium’s jihadist networks, says it is not known what inside knowledge about the Mol nuclear facility the two gave ISIS comrades. In 2014, an unidentified employee at the Doel plant where the two jihadists worked, walked into reactor No. 4, turned off a valve, and drained 65,000 liters of oil used to lubricate the turbines. The plant had to be shut down because the machinery b overheated. The reactor was out of commission for five months. Belgium has both low-enriched uranium, which fuels its two power plants, and highly enriched uranium, which is used in its research reactor primarily to make medical isotopes, plus the byproducts of that process. Experts told the Times that the most remote of the potential nuclear-related risks is that Islamic State operatives would be able to obtain highly enriched uranium. Even the danger of a dirty bomb is limited, they said, because much radioactive waste is so toxic it would likely sicken or kill the people trying to steal it. AhlulBayt News Agency - According to a local source in Nineveh province, the ISIS has imposed a curfew in the city of Mosul, because of the air strikes on its headquarters. AhlulBayt News Agency - Radical group of the so-called Islamic State (ISIS) launched suicide attacks on the Ayn al-Asad Airbase in western Iraq, clashing with U.S. and Iraqi military forces in the area, Iraqi media sources reported on Saturday. Local military sources confirmed that around nine ISIS suicide bombers were able to infiltrate into the airbase in western Anbar. Ayn al-Asad Airbase, a U.S.-Iraqi base, is located in the largely Sunni province of al-Anbar. The U.S. forces intervened to support the Iraqi troops after hours from ISIS attacks, according to media reports. “The U.S. special forces were able to repel the attack and killed eight suicide bombers, while an Iraqi lieutenant pilot and two other soldiers were killed in addition to the injury of six other soldiers in the operations,” an official from the Iraqi army told Kurdish News, speaking on condition of anonymity. “Daesh will receive painful blows from the U.S.-led coalition forces in the coming days,” he stressed, using an acronym for ISIS. Earlier, the hardline group had attacked another U.S. military base north of Mosul and was able to kill an American soldier. Over the past few weeks, U.S.-led coalition forces conducted several airstrikes on the Iraqi province of Anbar, killing a number of extremist leaders and other militants from the extremist group, according to Iraqi officials. The coalition’s airstrikes have recently killed dozens of prominent leaders of the radical group across Syria and Iraq, besides hitting tactical units and oil fields held by ISIS. The group has been suffering an apparent shortage in manpower in the recent weeks. Russia says its fighter jets have conducted 158 air raids against terrorist targets in Syria's central province of Homs over the past 24 hours, leaving at least 100 Takfiri militants dead. AhlulBayt News Agency - The attacks have been carried out in the central province of Homs and comes as president Bashar al-Assad's forces reclaimed the historic Palmyra castle. Russian Aerospace said there were 40 sorties near the ancient city over the last 24 hours. In a statement it said: "Strikes were carried out on 158 terrorist targets, resulting in 100 militants killed. "Four tanks, three artillery mounts, four ammo storage depots and five motor vehicles were destroyed." Syrian forces, supported by Vladimir Putin's forces, have gained much ground against the ISIS insurgents, recapturing the town of Al-Amiriyah after fierce clashes. The successful operation came just days after the pro-ISIS group's attacks on Brussels, which left 31 dead in the Belgian capital. Palmyra fell to ISIS, also known as Daesh, last summer. The allied forces and the Syrian government have been attempting to reclaim it for the last month. Irina Bokova, of UNESCO, said: "I welcome the liberation of the Palmyra archeological site, martyr city inscribed on the UNESCO World Heritage List, which carries the memory of the Syrian people, and the values of cultural diversity, tolerance and openness that have made this region a cradle of civilization." After ISIS took hold of Palmyra it destroyed ancient buildings and carried out brutal executions at historical sites. 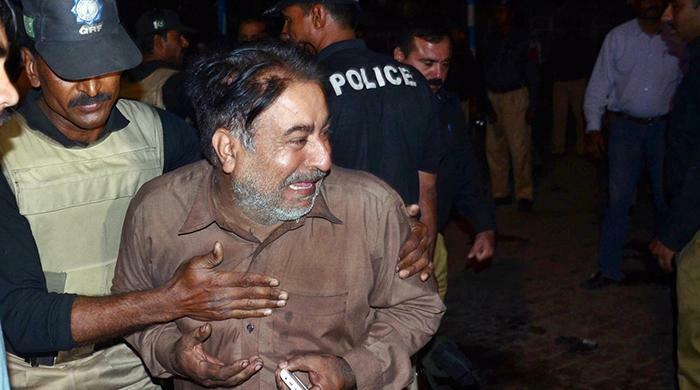 LAHORE: At least 72 people were killed and over 300 others injured in a deadly suicide explosion near the city’s Gulshan-e-Iqbal Park on Sunday, rescue and security officials said. The suspected suicide attacker blew himself up in the parking space of the recreational park. A large number of people including women and children were present at the park due to weekly holiday. Pakistan Army troops have been deployed as the park and surrounding area has been cordoned off by the security forces. "At least 38 people were killed and more than 100 are injured," Mustansar Feroz, superintedent of police for the area had told Reuters earlier. "Most of the dead and injured are women and children." The blast occurred in the parking area of Gulshan-e-Iqbal Park, just outside the exit gate and a few feet (metres) away from children´s swings. Eyewitnesses said they saw body parts strewn across the parking lot once the dust had settled. The park was particularly busy on Sunday evening due to the Easter holiday weekend. "When the blast occurred, the flames were so high they reached above the trees and I saw bodies flying in the air," said Hasan Imran, 30, a resident who had come to Gulshan-e-Iqbal Park for a walk. "There are more than 280 injured people," Rafique said. "Many are in operation theatres now being treated and we fear that the death toll may climb considerably." Police said it was not yet clear whether the blast had been carried out by a suicide bomber or a remote-controlled devise. "We cannot rule out that this was a suicide attack but things will be clear soon," Haider Ashraf DIG Operations Lahore said. Most of the injured are women and children, Hussain said. Many of the injured were transported to hospitals on taxis and auto-rickshaws due to a shortage of ambulances. Hundreds of citizens arrived outside hospitals to donate blood. "We were just here to have a nice evening and enjoy the weather," Nasreen Bibi said at the Services Hospital, crying as she waited for doctors to update her on the condition of her two-year-old injured daughter. "May God shower his wrath upon these attackers. What kind of people target little children in a park?" Soon after the attack, the Punjab government ordered all public parks to be closed and announced three days of mourning in the province. Punjab has traditionally been more peaceful than other parts of Pakistan. The main shopping areas were shut down and many of the city´s main roads were deserted. The security forces and rescue teams along with bomb disposal squad were dispatched to the site immediately after the explosion. In 2014, Pakistan launched an offensive against Taliban and affiliated jihadist fighters in North Waziristan, seeking to deprive them of safe havens from which to launch attacks in both Pakistan and Afghanistan. The government of United States has strongly condemned the deadly suicide attack in Lahore. “This cowardly act in what has long been a scenic and placid park has killed dozens of innocent civilians and left scores injured. We send our deepest condolences to the loved ones of those killed, just as our thoughts and prayers are with the many injured in the explosion,” said an official statement issued in Washington. “I am devastated by the senseless killing of innocent people today in Lahore. My heart goes out to the victims and their families and friends,” said young Noble Laureate Malala Yousafzai. AhlulBayt News Agency - Radical group of the so-called Islamic State (ISIS) carried out several car bomb attacks against positions for the Syrian army forces near the military airport of Palmyra in Syria’s central province of Homs, pro-ISIS sources reported on Sunday. In the meantime, the Syrian army, backed by Russian air force, were able to recapture major parts of the city of Palmyra after deadly battles with ISIS militant fighters, according to pro-government media sources. local rights activist Mohammed Khiyara said that after its partial withdrawal from the city of Palmyra, ISIS carried out several car bomb attacks against headquarters of the pro-Assad forces. “Daesh targeted a military convoy of pro-Assad troops in the vicinity of Palmyra’s military airport (also Tadmur) with a car bomb attack, killing at least 30 soldiers and injuring dozens others,” the source reported, using an acronym for ISIS. Khiyara pointed out that ISIS has also targeted other locations for the Assad’s army in the western areas of Palmyra, killing several soldiers and wounding others. “ISIS did not withdraw completely from Palmyra; it withdrew towards the northern villages, while there remained several groups east of the city in a bid to launch surprise attacks against pro-government forces,” Khiyara told Kurdish News. In a separate development, more than 3000 families have been displaced from Palmyra suburbs heading to Idlib’s suburbs, taking the eastern road between Palmyra and Raqqa. The displaced civilians took shelters in the villages of Killi, Khazano, Marrat Misrin and Sarmada as well as the city of Idlib. Also on Sunday, the pro-Assad forces were able to impose full control over Palmyra downtown after ISIS extremists retreated towards the northern villages of Palmyra and its eastern outskirts. The group’s leadership ordered its militants to withdraw towards its main bastion of Raqqa, northeastern Syria. AhlulBayt News Agency - Two of the largest terrorist organizations in Syria are once again at war with one another after an Al-Qaeda linked group launched a surprise assault on the so-called Islamic State of Iraq and Al-Sham’s (ISIS) defenses in the Qalamoun Mountains. Jabhat Al-Joulan (Al-Qaeda franchise) carried out an attack on ISIS’ positions inside the villages of Wadi Al-Zamrani and Wadi Al-Murtabiyah, resulting in a violent battle that claimed the lives 23 insurgents. ISIS was able to repel the large-scale assault that was launched by Jabhat Al-Joulan on Sunday; however, not before they lost 13 combatants along the western slopes of the Qalamoun Mountains. Despite their military failure in the Qalamoun Mountains, Jabhat Al-Joulan only lost a total of 10 fighters during their battle with ISIS on Sunday, leaving the aforementioned terrorist group with the higher death toll. Below Images from the battle were posted by ISIS’ official media network “Al-‘Amaq News”, along with an official statement confirming their victory on Sunday. “Nusra has complied with the decisions of the court, and has so far remained aloof,” he added. The disputes could lead to renewed clashes between the rebel groups in Syria’s northwestern Idlib province. “Expect Jabhat al-Nusra [Nusra Front] to retaliate versus 13th Division in Idlib tonight and or tomorrow morning. Key 24hrs ahead for shape of Idlib future,” said Charles Lister, a Resident Fellow at the Middle East Institute. “This is a test for the U.S. policy in Syria. The United States says that it wants to reduce the influence, and work towards the defeat of Al Qaeda in Syria as much as it does to eliminate ISIS,” said Nicholas Heras, a Washington-based Middle East researcher at the Centre for a New American Security. “This is a critical stage in the Syrian civil war and there is a genuine opportunity for the moderate opposition to take advantage of the cessation of hostilities to weaken ideological extremist elements within it,” he told ARA News. “If the U.S. misses this moment to double down support for Division 13 and its FSA allies, there may not be another opportunity before Al Qaeda embeds itself like a tick in Idlib’s civil society,” Heras added. The suicide bombers who carried out a deadly attack on Brussels airport were brothers and known to police, according to reports. The pair have been named by Belgian media as Khalid and Ibrahim El Bakraoui. Both brothers had criminal records but had not previously been linked by police to terrorism until now, Belgian media reported. Khalid had rented under a false identity the house in Brussels raided by police last week, in an operation that later led to the arrest of Paris attacks suspect Salah Abdeslam. It has emerged Brahim, 30, had been sentenced to nine years in prison after being convicted in October 2010 of firing a Kalashnikov assault rifle at police and wounding an officer after a robbery in Brussels earlier that year. In 2011, his brother Khalid was given a five year jail sentence for car jacking. The details of the attackers came amid reports their alleged accomplice, who went on the run apparently after his device failed to explode, had been captured. 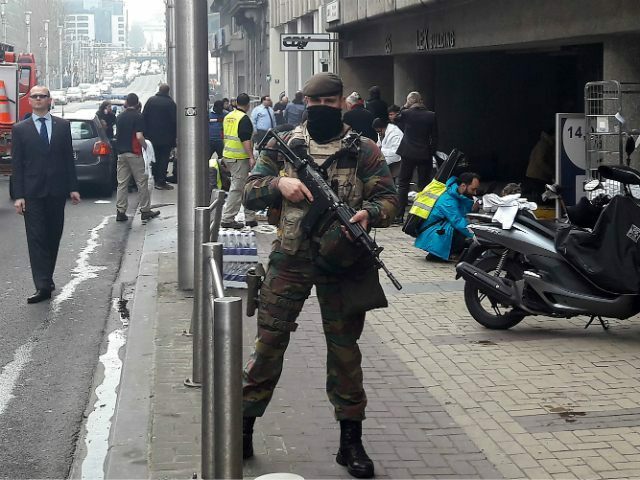 Najim Laachraoui, who was arrested in Brussels' Anderlecht district, had been identified by French police as the chief bombmaker for the Paris attacks last November. CCTV footage taken in the moments before the twin blasts at Zaventem Airport, which left at least 14 people dead, showed two of the three men wearing single gloves to conceal detonators. The explosives were contained in their luggage and detonated before reaching the security gate, according to Zaventem's mayor. Investigators were tipped off by police by a taxi driver who had driven three "suspicious" individuals to the airport - and was told not to touch their luggage upon arrival. He directed police to the house where he had picked them up in the Brussels suburb of Schaerbeek. Inside the property detectives found a nail bomb, chemical products and an Islamic State flag. Belgium is continuing to mourn following the airport attack and the subsequent explosion on a tube train at Maelbeek Metro station, which killed a further 20 people. One of the 34 people confirmed to have died in the bombings on Tuesday was 37-year-old Adelma Tapia Ruiz, the mother of three-year-old twins. She was killed while checking in at the airport. Among the missing is Brussels commuter David Dixon, originally from Hartlepool, who failed to arrive at work on Tuesday morning. Islamic State has claimed responsibility for both atrocities, and in a statement, the terror group warned of "dark days" ahead for the western nations against it. :: In the UK, anyone affected or concerned about others caught up in the attacks can call +442070080000. :: The Belgian Crisis Centre has also set up a helpline for people calling from outside Belgium: +3278151771. Those in Belgium are asked to call 1771.